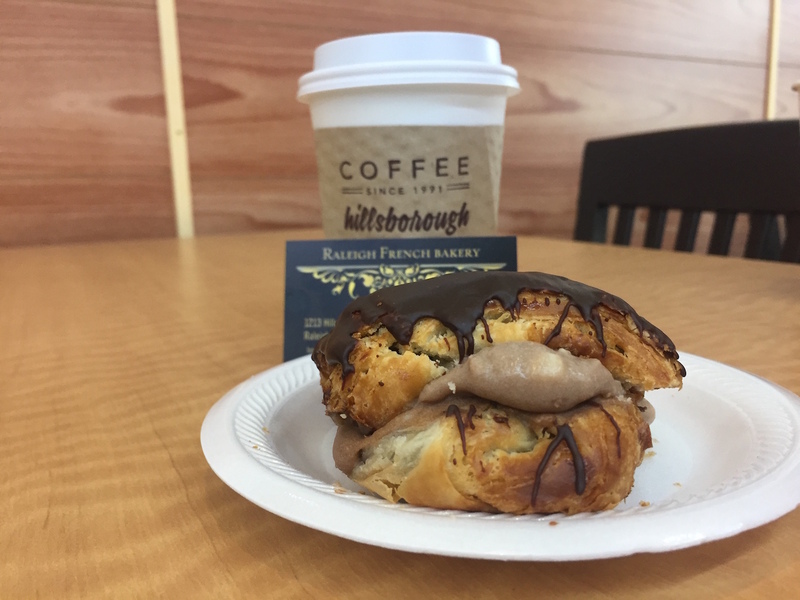 Taking advantage of the beautiful weather, I decided to make the slightly longer walk down to the new Raleigh French Bakery for this week's Tasty Tuesday, and I was not disappointed! 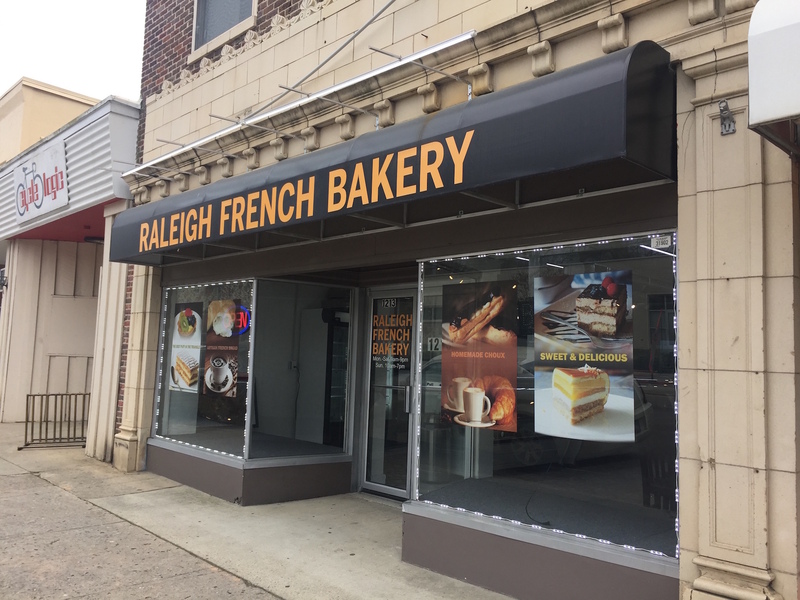 The Raleigh French Bakery opened this semester and is located at 1213 Hillsborough St. near Phoenix Tattoo and the Green Monkey. With a black awning covered in yellow block lettering over the front windows filled with pictures of delicious looking pastries, the bakery is hard to miss when walking by...especially if the door happens to open and you're hit with the mouth-watering smells from inside. 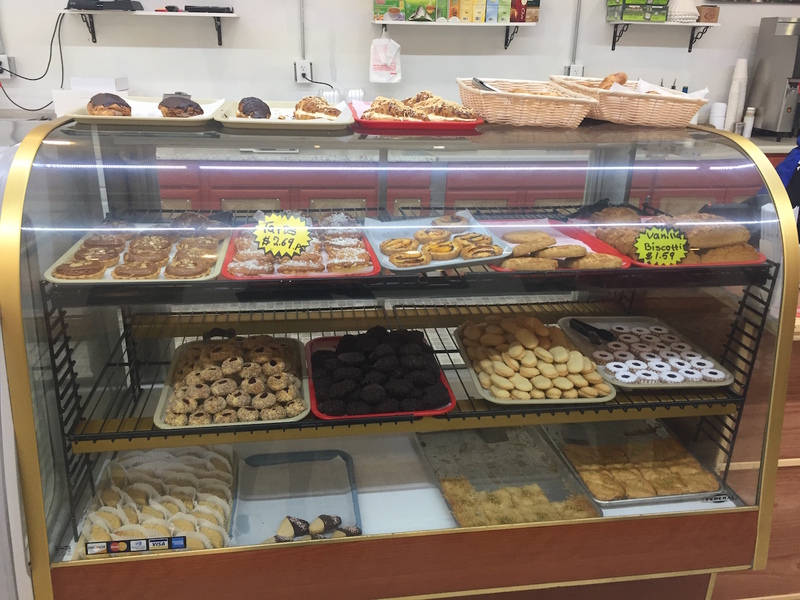 As soon as I stepped into the bakery, I was struck by the strong savory scents of freshly baked bread and the sugary, sweet scents of fruit and chocolate. Three display cases, filled with everything from slices of cake to fruit tarts to cookies to biscotti, were topped with loaves of freshly baked bread and croissants. Some of the croissants were even topped with chocolate and finished with a vanilla or chocolate filling. I had trouble deciding on what to order from the range of options, but I finally settled on a chocolate covered croissant that was filled with chocolate cream. I also ordered a small coffee, the bakery uses coffee from Joe Van Gough's in Hillsborough, and sat down at one of the open tables. The croissant looked delicious but, even though it seemed impossible, it tasted even better. The chocolate filling was light and the flaky bread was obviously freshly made. The sweet flavor of the croissant went perfectly with the strong coffee and before I knew it, my plate was empty and I was already planning my next visit. I haven't had the chance to go back yet, but I'm looking forward to it! Not only was the food amazing, but the service was fast and friendly and the atmosphere of the bakery was welcoming and laid-back. There were plenty of tables available and one of the other customers sat in the back working on a laptop. While I ate, I decided to watch the U.S. soccer game against Panama on the small T.V. that was mounted behind the display cases. 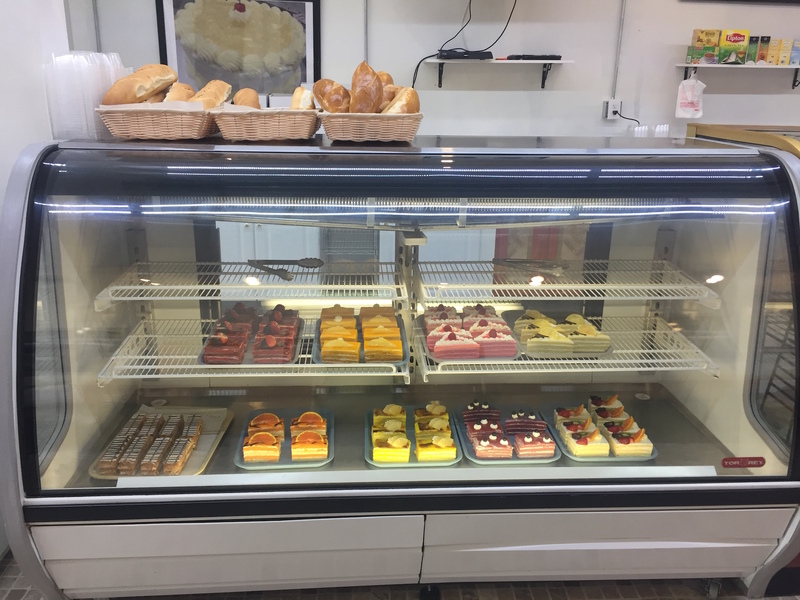 Though the Raleigh French Bakery is new to Hillsborough Street, I have been raving about it to all of my friends and family. It's the perfect place to sit and catch up with someone or on your work, and, no matter how many times you go back, you are sure to always find something new to try!